For your reading pleasure once again, a poem (by a dear friend of Plains Song Review), Red Shuttleworth. to be said for the patience of the unjust. in a mud-splattered Sunday suit. A mother cradling her dead child's shoes. precarious on saddled plow horses. Someone phones someone at Minot State. off a tattered floral-papered wall. Red Shuttleworth and his wife and children lived in Fairbury and Winside in the eighties. Red’s Western Settings received the first Spur Award for Poetry in 2001 from Western Writers of America. He was named “Best Living Western Poet” in 2007 by True West magazine. 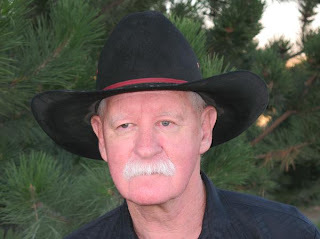 Red will shortly be seen in Minnetonka Review and has poems set to appear in RATTLE's special Western/Cowboy poetry issue and Weber: The Contemporary West. Red currently lives in Moses Lake, Washington.